White sand beach -Perfect beach house, comfortable and stylish furnishings therefore great ambiance, indoor outdoor flow, view, one back from beach, clean, not your average rental, a home. 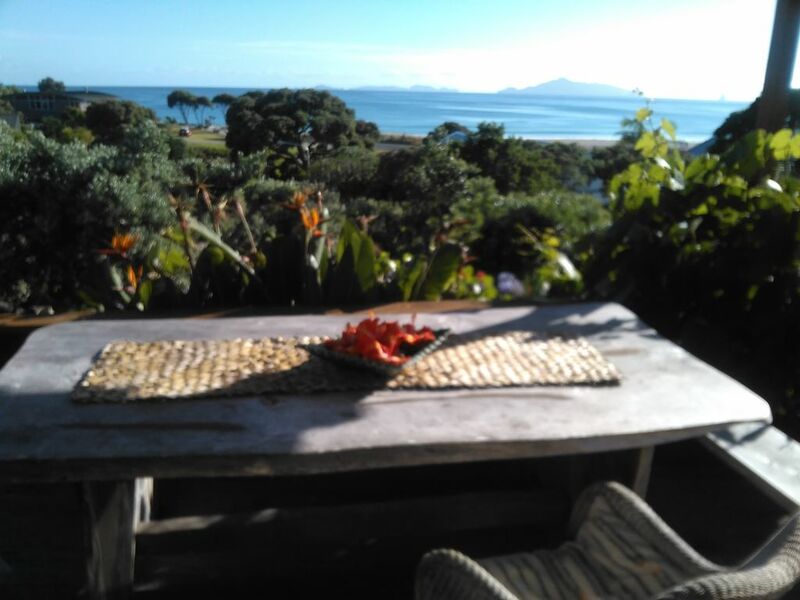 11/2hrs drive from Auckland, 25min drive from Whangarei, Close to 2 great golf courses Waipu and Mangawhai, local markets, surfing, paddleboarding, fishing, kite surfing several wonderful seaside walks and also bush/hills etc etc. Fireplace, wifi ,TV, washing machine, heated towel rails, stove and microwave, dishwasher. large frig/freezer. No smoking, animals. Need to let us know if you are bringing your own sheets towels etc or we can leave these out. Just a perfect beach house for our needs. It's batchy but has all mod cons and very comfortable and one back from the beach with stunning beach and sea view. Great property in a fabulous location with an easy stroll to the beach. Very peaceful relaxing place to stay, but the driveway and parking was a little tricky. Very peaceful relaxing place to stay, but the driveway and parking was a little tricky. Very clean. Awesome location and great house. Awesome location and great house. Close to beach, easy walk to and from. We loved our stay here and we're sad to leave. Definately return if we get the chance. Lovely Bach, we can't wait to go back. A lovely house with gorgeous sea views. A lovely house with gorgeous sea views. Great having two bedrooms each with their own separate bathrooms. Comfortable beds. Great location, only a few minutes walk to the beach!